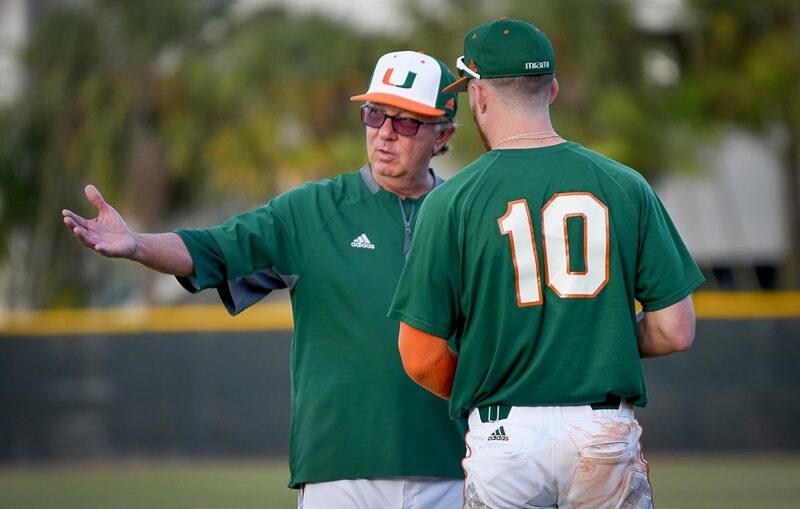 It’s hard to imagine that after 25 years of success at the University of Miami, head baseball coach Jim Morris is retiring. Morris helped turn UM into one of the country’s most elite programs, leading the school to 13 College World Series appearances and two national championships. And now, in 2018, Morris is in the midst of his final campaign. MLB World Series Champion Jon Jay said Morris had an incredible impact on his career and that going to Miami was a perfect fit because he constantly had a chance to compete against the best in the country. Through the years, the administration has recognized the impact Morris made since he stepped in for former legendary head coach Ron Frazier. James hinted at a number of upcoming surprise events to honor Morris throughout the 2018 season. The pressure is also on the current roster to have a comeback year after the Canes missed the postseason in 2017, ending a 44-year streak. The players would want nothing more than to reach one more College World Series for Morris before his retirement. Certainly there are a few concerns about how young Miami’s team is, but its talent is apparent. To put Morris’ career at UM into perspective, his record as a head coach is 1,593-715-4. Out of the 1,593 wins, 1,089 of them were at the helm of the Hurricanes. At Miami, Morris was a two-time National Coach of the Year – for the 1999 and 2001 seasons – and won Atlantic Coast Conference Coach of the Year with the Hurricanes in 2008. It’s rare to find coaches that consistently lead their teams to the playoffs year after year. Morris made it look easy. Morris always made sure his players were not only successful on the field but also in the classroom. In 2015, Hurricanes baseball had the highest GPA of any team in the College World Series, sporting a 2.97 team average. This year, the roster’s overall GPA is an impressive 3.14. With his coaching career coming to a close, Morris said he looks forward to spending time with his wife, Nhan, and his 5-year-old son, Will. Morris will leave a legacy as one of the greatest coaches in college baseball history.